The BP-263 is an ICOM-brand AA battery case for radios such as IC-T70A/E, IC-V80A/E. Holds 6 x AA Alkaline batteries. 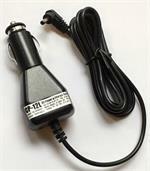 Provides handy instant power to the HT. BP-264 : ICOM brand Ni-MH battery (7.2 volt 1400mAh) for IC-V80 HT radios, etc. The BP-264 is an ICOM-brand 7.2 volt 1400mAh rechargeable Ni-MH battery for the IC-V80 & IC-T70 radios (worldwide versions).